The new Chevrolet EV will be based off the all-electric Bolt EV, which Orion Assembly currently produces alongside the Chevrolet Sonic subcompact. GM, according to Barra, originally intended to produce the vehicle outside of the U.S., but she declined to disclose where that may be. The upcoming vehicle is expected to be the first for the U.S. under the automaker’s plan to release at least 20 new battery or fuel cell powered vehicles globally by 2023. The company declined to provide any additional information about the vehicle or its launch timing. The announcement prompted the first public meeting between Barra and UAW Vice President Terry Dittes since he was named to the position in June. It also comes ahead of what are expected to be contentious contract negotiations this year between the union and automaker. Making major investment announcements ahead of contract talks is not uncommon. Four years ago, the company announced plans to invest $5.4 billion in U.S. plants through 2018. Dittes said he would not spoil a “great day” for the union members at Orion Assembly, but he showed little to no love for the automaker and its plans to potentially close up to four domestic plants. “I will not spoil a great occasion here today, but there is hardship among four of our locations and we’ve made it clear that we disagree with that,” said Dittes, who left the event as it was wrapping up and before any staged photo-opportunities could occur. Following the event, Dittes said he walked out to speak with UAW members of the plant. Dittes, who greeted Barra before the event, said he was not trying to send any sort of message to executive or company. 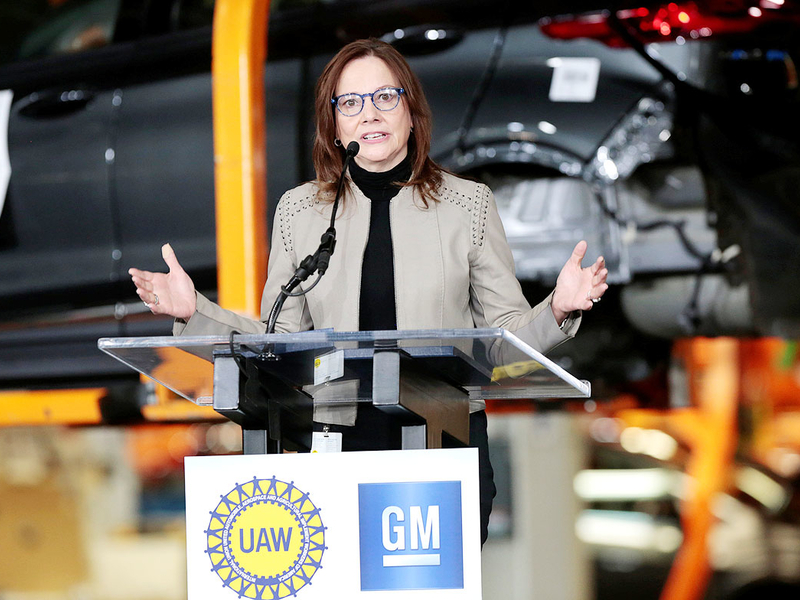 The UAW sued GM this year, accusing the company of breaching its 2015 collective bargaining agreement with the union. The complaint followed GM’s decision to “unallocate” product from four U.S. plants — Lordstown Assembly in Ohio; Baltimore Operations in Maryland; and Detroit-Hamtramck and Warren Transmission in Michigan.